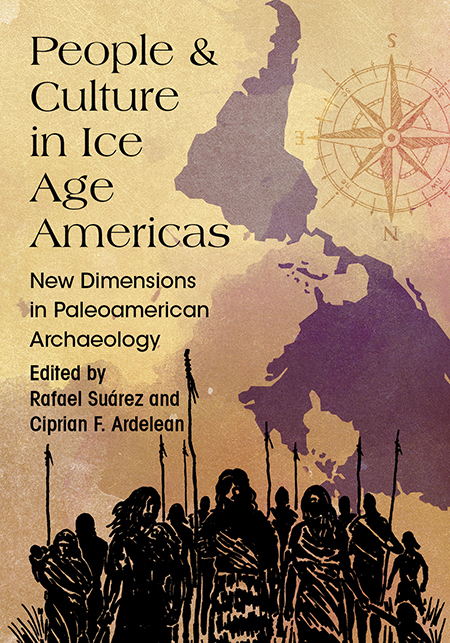 This edited volume, which emerged from a symposium organized at the 2014 SAA meeting in Austin, Texas, covers recent Paleoamerican research and site excavations from Patagonia to Canada. Contributors discuss the peopling of the Americas, early American assemblages, lifeways, and regional differences. Many scholars present current data previously unavailable in English. Chapters are organized south to north in an attempt to shake the usual north-centric focus of Pleistocene–Early Holocene archaeological studies and to bring to the forefront the many fascinating discoveries being made in southern latitudes. The diversity of approaches over a large geographic expanse generates discussion that prompts a re-evaluation of predominant paradigms about how the expansion of Homo sapiens in the Western Hemisphere took place. Those who work in Paleoamerican studies will embrace this book for its new data and for its comparative look at the Americas. Rafael Suárez is a professor of archaeology at the Universidad de la República in Montevideo, Uruguay, and a researcher within the Sistema Nacional de Investigadores (SNI). His research focuses on the lifeways and adaptations of South America’s Paleoamerican hunter-gatherers and Late Pleistocene–Early Holocene lithic technology in southeast South America. Ciprian F. Ardelean is a Romanian-born archaeologist who has been working at Mexico’s University of Zacatecas since 2001. He has conducted field investigations on the ancient Mayans and currently leads research projects on early human occupation in the arid regions of northcentral Mexico, focusing on the Pleistocene archaeological record. “The ‘Peopling of the Americas’ is a perennial hot topic that tends to excite broad interest both in the discipline and from the public. I am not aware of any recent book on the topic with the spatial or topical breadth of this important volume, or with the same south to north orientation. People and Culture in Ice Age Americas should be on the shelf of everyone seriously interested in the earliest inhabitants of the New World."